#battgirls and Pinterest team up!! Do you love Pinterest as much as us #battgirls do?!! 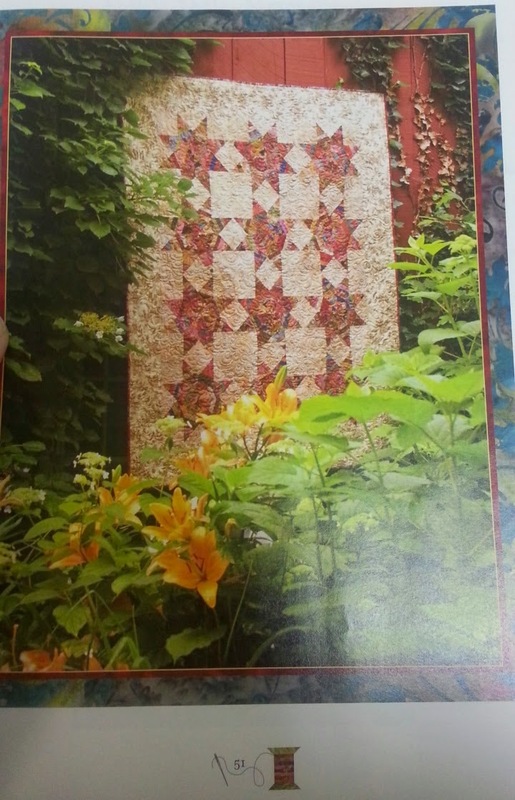 Here's your chance to show off your quilts using Quilters Dream Batting and be entered to win prizes. We want to see your quilts and hear from you which kind of Quilters Dream Batting you used in your quilt - and why you love it. Are you a show quilter and enjoy the Dream Poly because it doesn't hold a crease, or are you a fan of the Dream Cotton because it gives that instant heirloom look to your quilt. Maybe you like the Dream Poly and the Dream Cotton and then use an extra layer of Dream Puff, Dream Blend or even Dream Wool on top for the added texture and definition it gives your quilting. We know others would enjoy looking at your quilt works of art and hearing from you why Quilters Dream is your batting of choice. 2. Then email us at QuiltersDreamBatting@juno.com to request access to the “Quilts by YOU!” board. Please include your Pinterest account information in your email. 3. 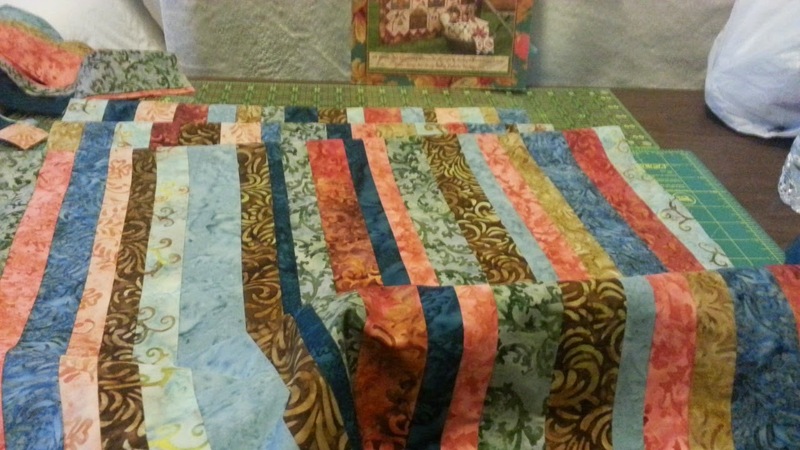 We will then send you an invite giving you permission to post your quilts to this board. 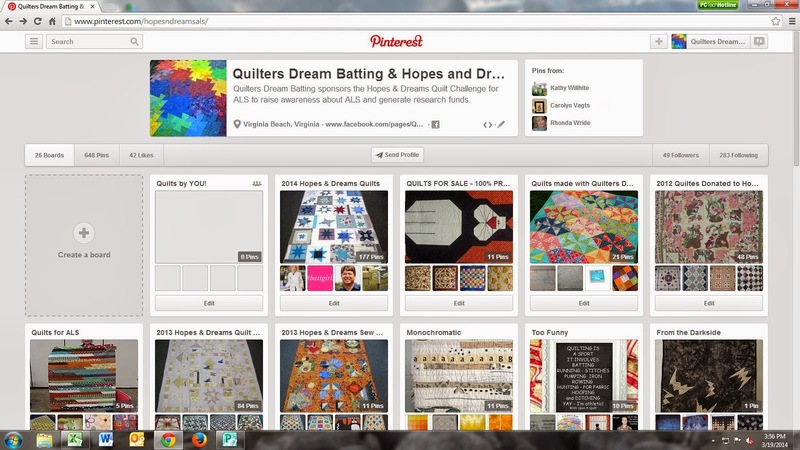 After you accept - you can post directly to the Quilters Dream Batting "Quilts By YOU!" board. REMEMBER: Since you have the photos and use Quilters Dream Batting, you can also be one of our featured #battgirls in a future blog post! We look forward to seeing your quilts and sharing your Quilters Dream Batting story on Pinterest, as a featured #battgirls blog post, on Instagram, Facebook and Twitter! About a year ago I took a class on Y-seams at my local quilt shop. 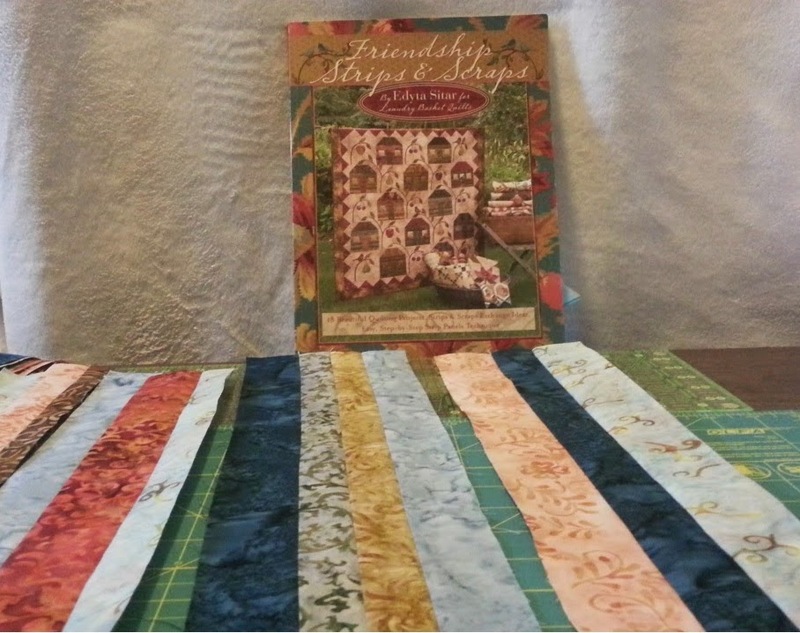 We used the Tumbling Blocks Table Runner pattern from the 2012 book Friendship Strips & Scraps from Laundry Basket Quilts by Edyta Sitar. Its been awhile since I worked with Y-seams and I had a great shamrock green batik that I thought would make a lovely background (and its March, so why not make a green quilt). 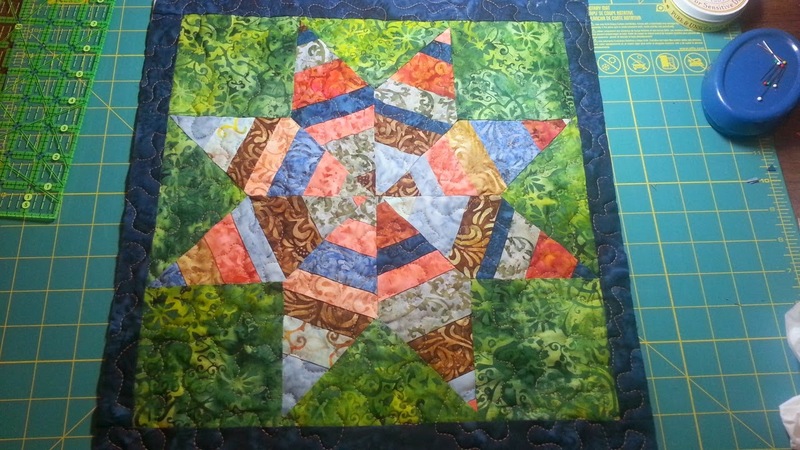 I decided to make the Summer Star Quilt this time around. Edyta is all about pulling from your stash. Grabbing random fabric, all color tones and textures - even ones that don't match - and stripping piecing them together to create a whole new 'fabric'. My first table runner turned out great using this technique so I thought I would give it another try using the shamrock green batik. 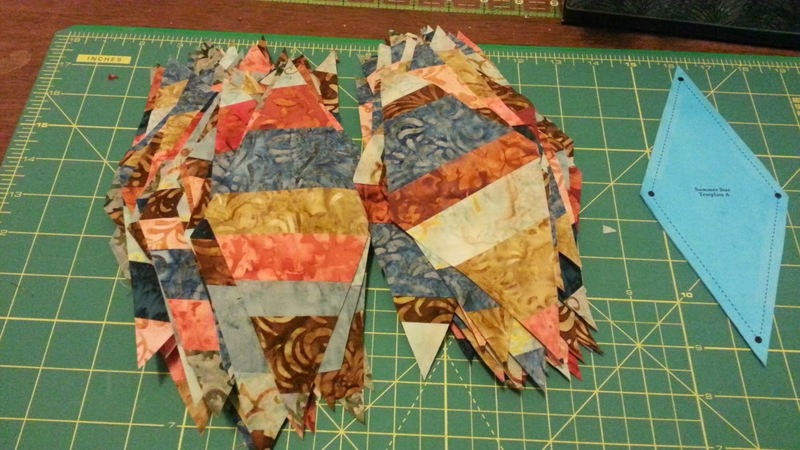 First you cut your fabric in varying widths sewing them together. Make sure all your seams are facing in the same direction. 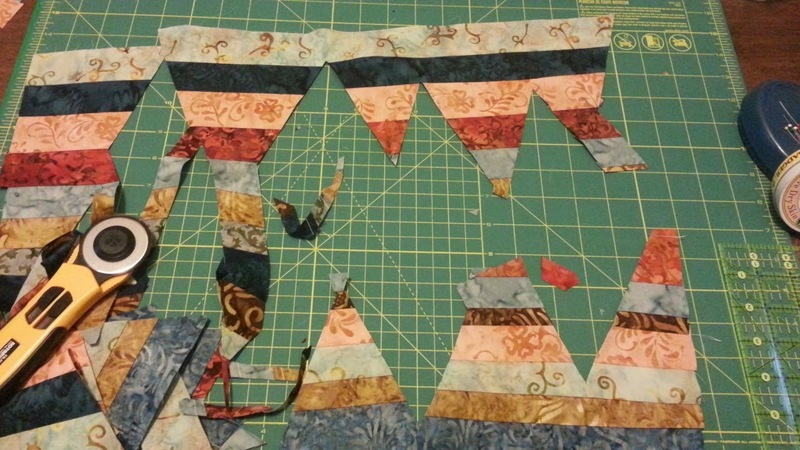 Next, using the template provided in the book, cut diamonds from your striped 'fabric'. After cutting all the diamonds, don't throw away your scraps, Edyta gives instructions in the front of the book for how to piece the left over edge triangles into usable pieces. After you have cut the diamond (in my case 96! 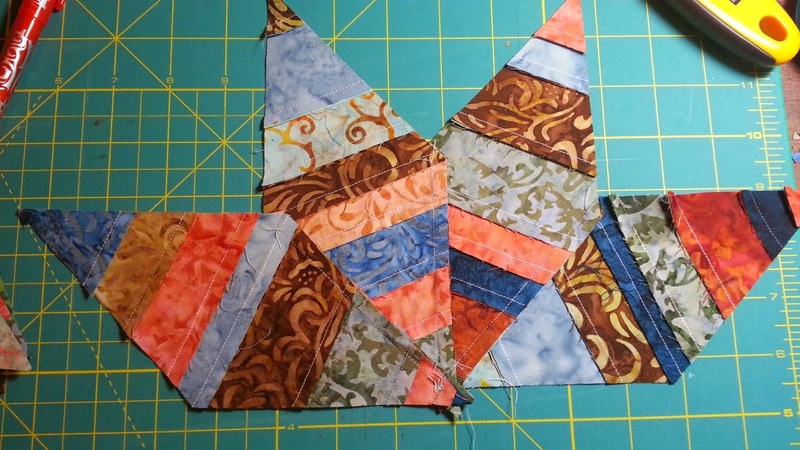 ), mark the diamonds with a 1/4" seam allowance on all four points. 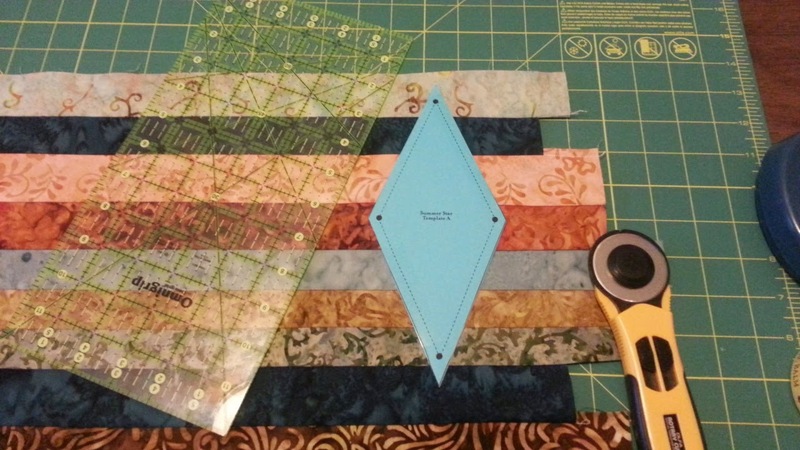 This aids in knowing when to stop sewing when creating Y-seams. 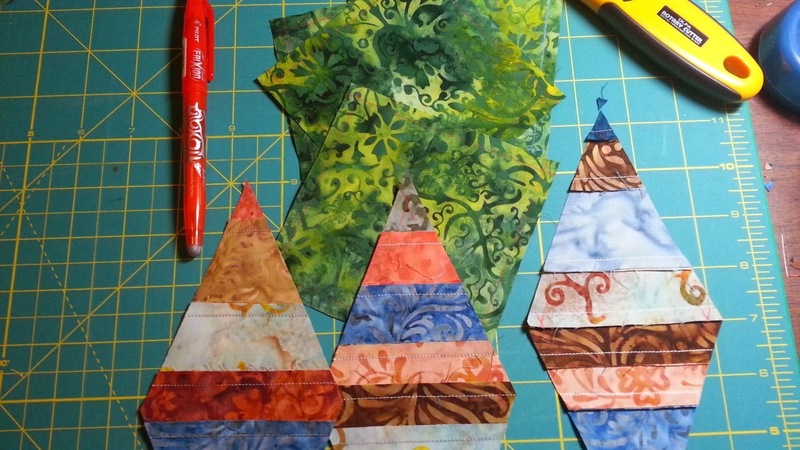 Then cut squares and triangles from the background fabric and mark a 1/4" seam allowance on those as well. Next, sew! Be sure to stop at the point where the two 1/4" marking meet. If done properly, the seam should just fold open when flipped right side up. Even one stitch too many and you will get a puckered look. 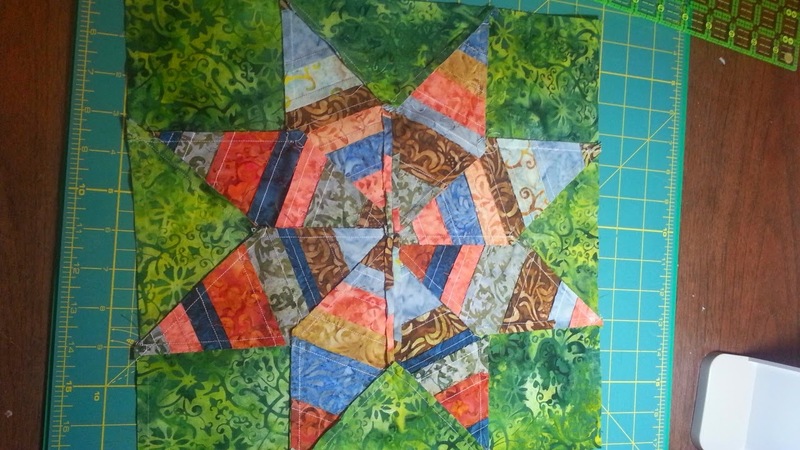 Sew the background squares and triangles onto your scrappy star. And voile! One block done. 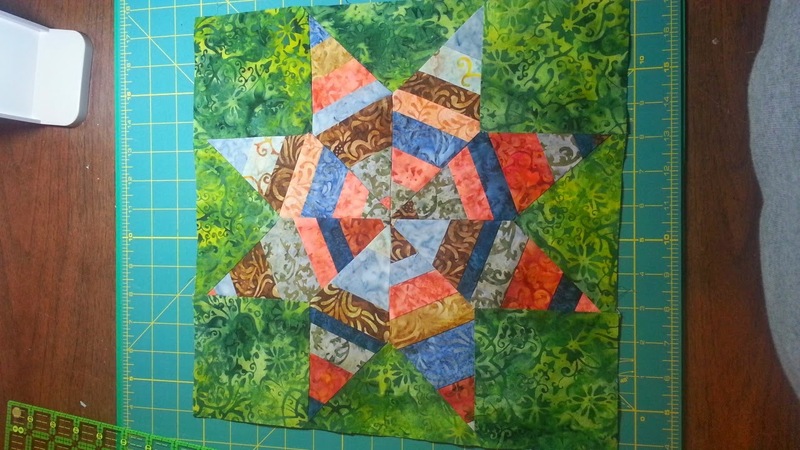 I don't know if i love the look of the green batik background against my scrappy star. So I decided to quilt one block and see if a bit of quilting improved the overall look. 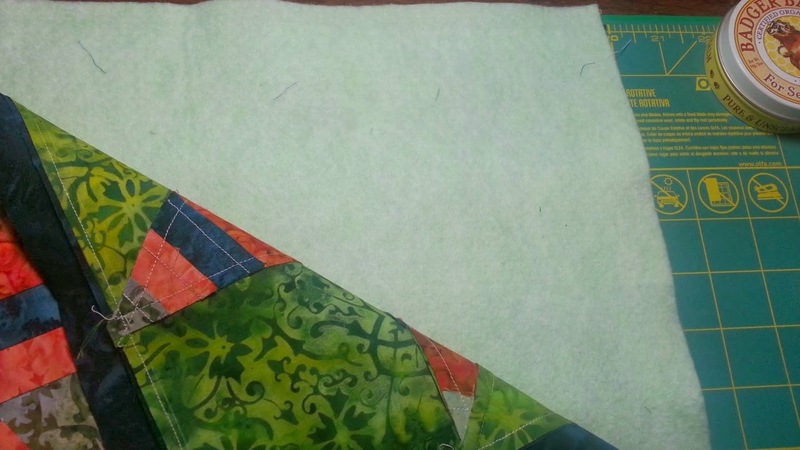 I used Quilters Dream Green batting. Its a mid loft poly batting made from recycled plastic bottles (think 7-Up and Sprite) lending a pale green hue to the batting. It quilts up and washed just like Quilters Dream Poly Select. Having just used Poly Select in another project I wanted to see how the two finished projects compared. 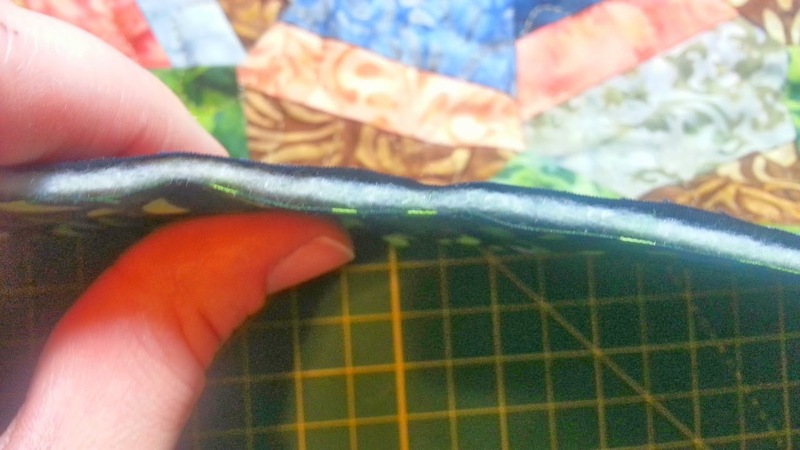 It quilted up beautifully, I love the texture the Dream Green poly batting adds and its green! Perfect for a St. Patrick's Day quilt. Still don't know if I'm married to the green batik background. What do you think? 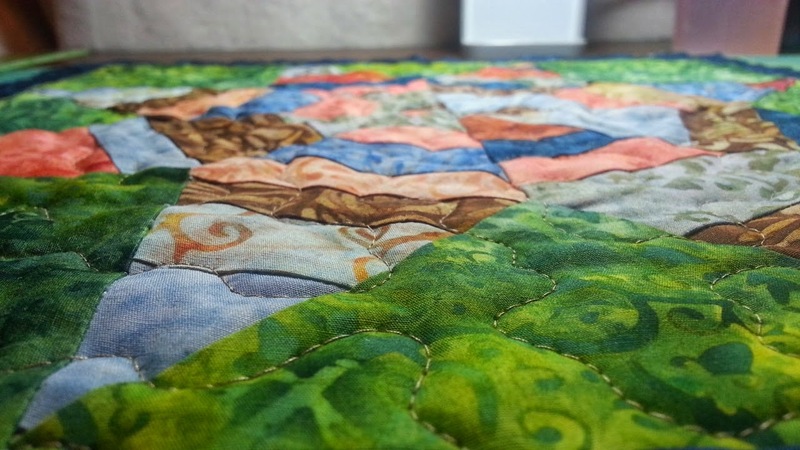 Interested in giving Quilters Dream Green a try? Give us a call at 1-888-268-8664 to receive a free sample. Want to be one of our featured #battgirls ? Quilters like you are constantly tagging us on Facebook, Instagram, and Twitter with photos of their quilts/projects where they have used Quilters Dream Batting. The talent and creativity we have seen is quite incredible! So we thought, why not give YOU the chance to show off your work!! Get your cameras ready, we will post the first blog April 1st. **edit: check out our first post here. FYI: We have made this information a permanent tab at the top of our blog. You can always come back if you aren't quite ready to SHINE!! 2. 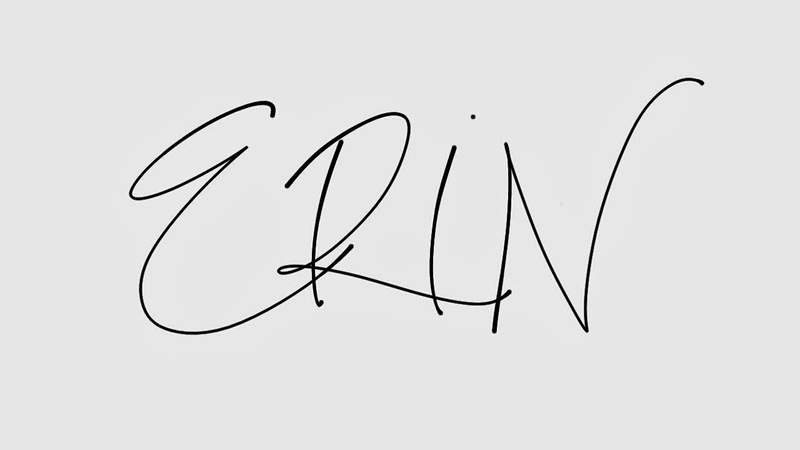 Give a brief description about the process in making it. Please include your special techniques, funny experience, your do's and dont's (if any). Don't be shy! 3. 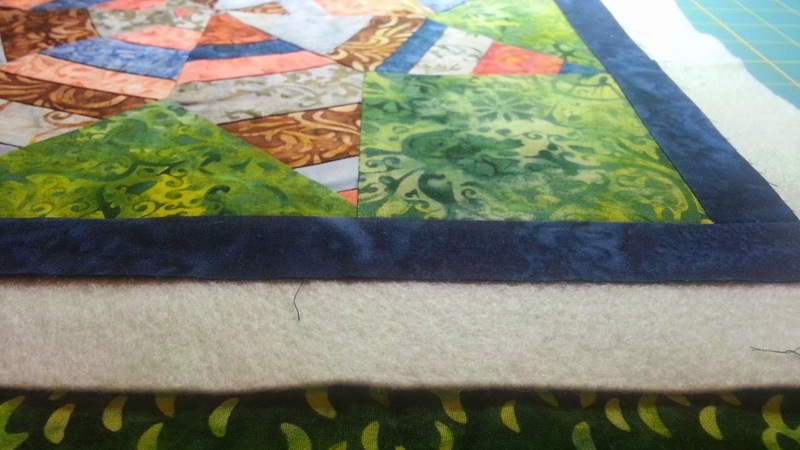 MUST tell us in your email what Quilters Dream Batting product/s you used in your project. 4. Include your name and contact info in your email to be shared in the blog post. 5. Optional- but PREFERRED, include links to your website, Facebook, Instagram, Etsy, Twitter etc!! To be fair, we will choose our #battgirls at random to be featured in our blog posts. 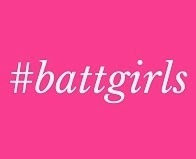 We will spread the word about our #battgirls on all our social media accounts! Watch out! We have #battgirls in the office. 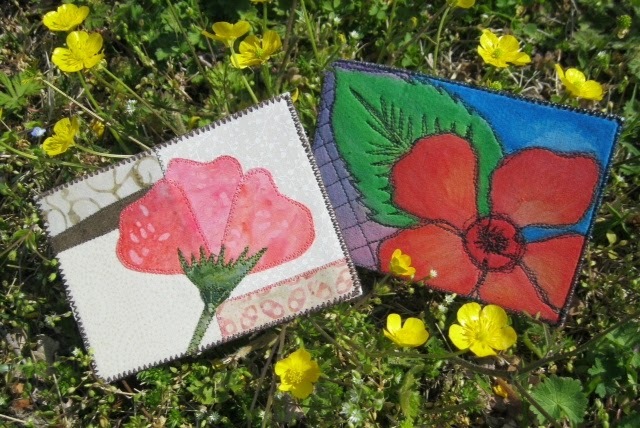 Jenn made these fabric postcards using Dream Fusion! 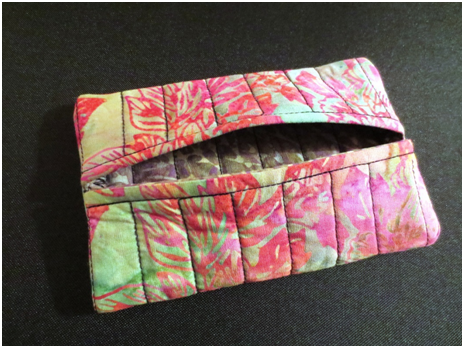 Again, she used Dream Fusion on this super cute tissue pouch! We are looking forward to seeing your creations! Don't forget to subscribe so you can stay in the loop.